Class Systems, created by Infospeed, is a cloud–based, comprehensive administration and booking system that manages all of your business needs. Since 1989, Class has been the most popular software system used by language schools worldwide. 2,200+ users in 250+ schools use Class every day. Global client base with schools of all sizes and structures. 30 years of experience designing and installing systems for the language school industry. Most of our customers have been with us for decades. We are a tight-knit team with international experience working in language schools and includes, designers, developers, programmers, systems engineers, qualified accountants. 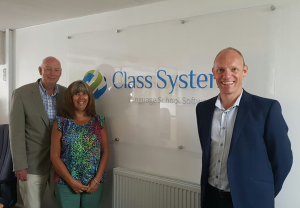 Class is an administration software system for language schools, training centres, academies, clubs, colleges and companies that support the international education industry such as host family operators. With roots in accounting and finance, our system has accuracy and compliance at its core. Covering virtually every aspect of your business, Class will manage your student database, bookings, enrolments, agents, groups, teachers, classes, courses, payments, finances and accommodation. We have a Wish List of requests to ensure we constantly add new features for clients. Our in-house team concentrates on continuous system upgrades and new functionality. Our system can be adapted to many business models and we are continuously expanding into various industries. Our support team is on hand to assist you (real live people, not chatbots!). We have an extensive video library with tutorials on nearly every function in the system so you can receive on-demand, online training. We offer free Super User Training Days 3-4 times a year. We also offer training to suit clients’ schedules, no matter what time zone you are in. Signatories to the code of conduct of BASDA (Business Applications Software Developers Association). English UK Corporate Member since 2004. The best way to understand how much Class can do for you is to see it in action! Book a quick demo and learn how we can customise the system to suit your needs and requirements.